When John D. Haefele won the Venarium Award for emerging scholar for the 2007 Cimmerian Awards, I knew he was destined for great things—I mean, I was also nominated that year and he had beaten me, so this guy had to be good, right? 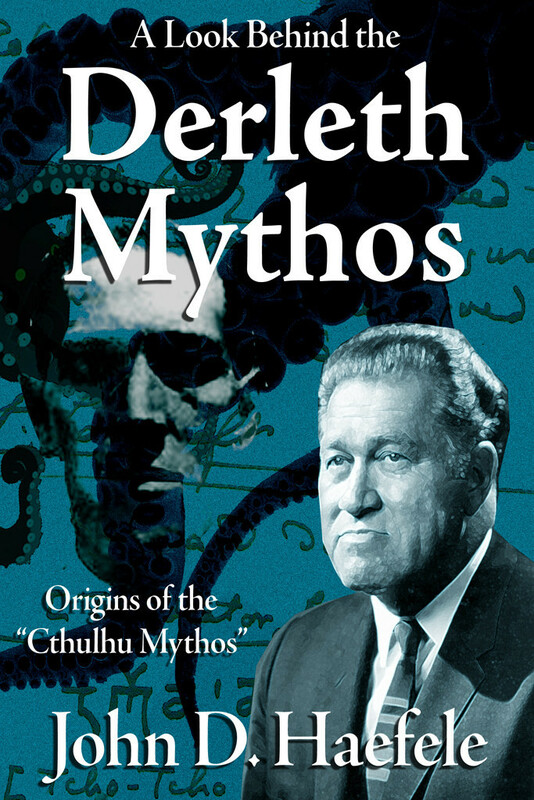 Well, the new, revised trade paperback edition of Haefele’s A Look Behind the Derleth Mythos: Origins of the “Cthulhu Mythos” shows that the confidence the Cimmerian Awards voters had in this particular Howard fan was not misplaced. As a founding participant in the birth of the Cthulhu Mythos, Howard is mentioned quite often in Haefele’s book, always respectfully, something which should make readers of this blog very happy. Fittingly, this book is the first volume published by the Cimmerian Press, which should cause shouts of joy in Howard fandom. Leo Grin’s journal The Cimmerian was a Golden Age for fans and scholars of our favorite Heroic Fantasy author. At that time Howard studies was an enjoyable field of endeavor, with the essays being not only informative but entertaining to read—something lacking in much of the literary criticism lately, with titles that strive to be pretentious, and essayists who are not at all familiar with the work of those dedicated individuals who toiled earlier, in some cases before these new “scholars” were even born. What is probably not so well known is that ten years earlier Arkham House had included a sampling of Howard’s verse in Dark of the Moon, which also included a poem by no less than Robert Frost, putting our pulp author in some pretty high company. So, just in time for Halloween, appears John D. Haefele’s A Look Behind the Derleth Mythos. A hefty, 510 page book that, at less than twenty dollars, will give you much bang for your buck. Run, don’t walk, over to Amazon.